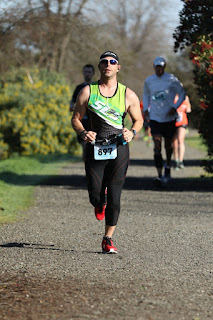 I started running in Altra shoes about a three years ago. 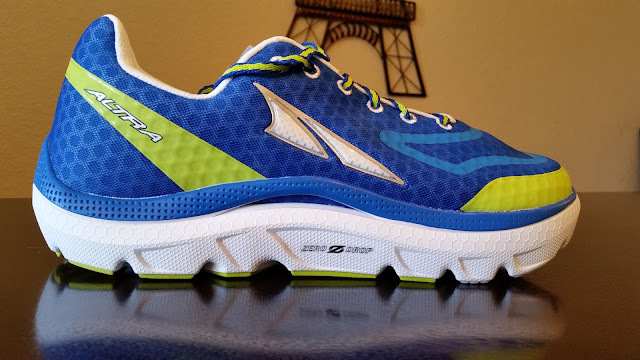 I wrote several reviews during my ”Week of Altra,” a few months back. To say I am a fan of the Foot Shaped Toe Box and Zero Heel Drop is an understatement. 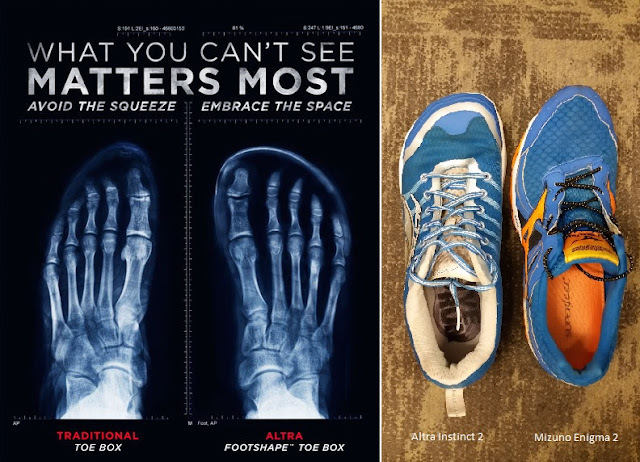 Just look at this picture of a normal running shoe vs a shoe with a Toe Shaped Foot Box. 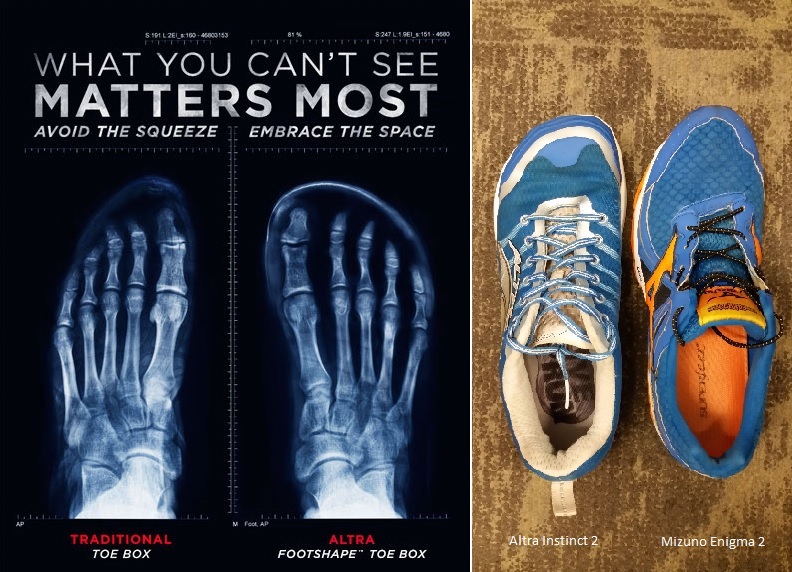 As with all Altra’s shoes, the Paradigm 3.0 has the FootShape™ toebox, which allows your toes to spread out. It helps eliminate issues resulting from compressing your feet/toes. This is a common issue with most other company’s shoes because of their narrower toe box. Altra’s zero heel drop (meaning that the heel and forefoot are the same distance from the ground) promotes proper form, provides better propulsion, aligns your feet, back, and body, and is not weighted more heavily in the heel (like most shoes) which promotes heel striking. There have been some really nice improvements since the original Paradigm. Here’s a comparison of the two shoes. 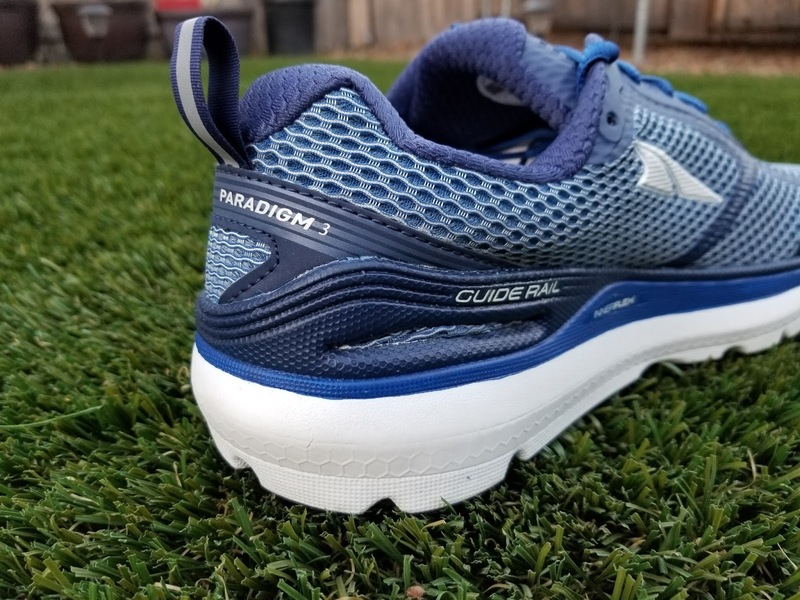 The big difference for me between the original Paradigm and the Paradigm 3.0 is that the original Paradigm was stiffer, but the outsole was shaped so you could roll through your gait. The Paradigm 3.0 is way more flexible and provides an all-around better feel as you go through your gait cycle. The feel of the Paradigm 3.0 is much more comfortable around your foot with more of a softer structural section in the back. I do like the Guide Rail, which is an improvement on previous versions. It is not your normal stability shoe, but provides a little extra support around your midfoot/heel area when your feet get tired at the end of longer runs. It really helps. There are many similar specs between the shoes. The new Paradigm 3.0 is 0.2 ounces lighter and 2mm less stack height, neither is a big change. Other than that, the shoes are almost identical. While I haven’t tried the Paradigm 2.0, the Paradigm 3.0 is amazing and has quickly become my go-to road shoe for long and even tempo runs. 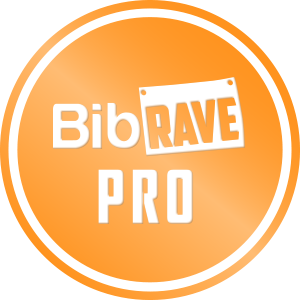 I have been training for the Urban Cow Half Marathon (this Sunday) and the California International Marathon (in early December). 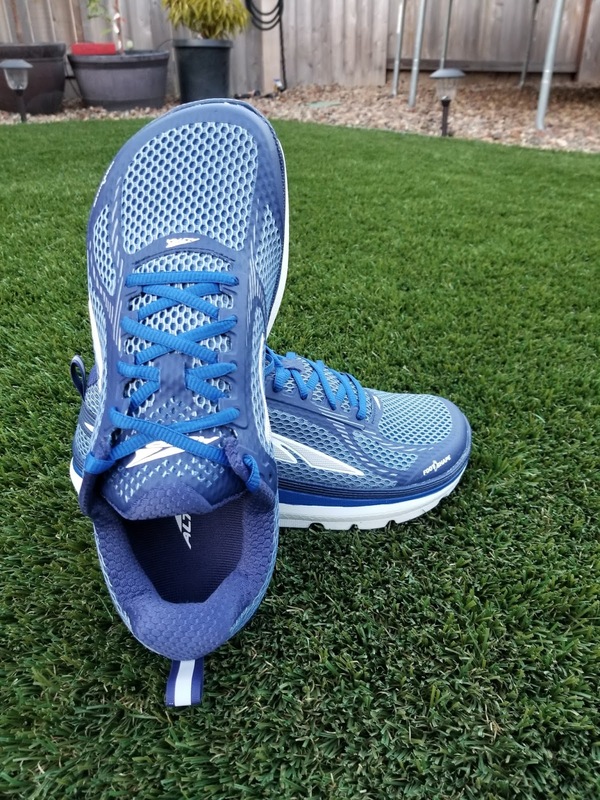 I am always looking for a fast and comfortable shoe that gives my wide feet plenty of room while still allowing me to be fast (when my legs allow it). I have played around with several shoes to nail down which shoes will be used for training and which will be used for race day. I was leaning toward another shoe, but after putting in about 60 miles in the Paradigm 3.0, I have decided that it will be my shoe of choice for the following reasons. They are relatively light weight, especially considering the amount of cushioning. The Paradigm 3.0 is flexible and has the Foot Shaped Toe Box, which allows my feet to spread out. I do not have any foot pain while running in them, unlike most shoes that are narrower. 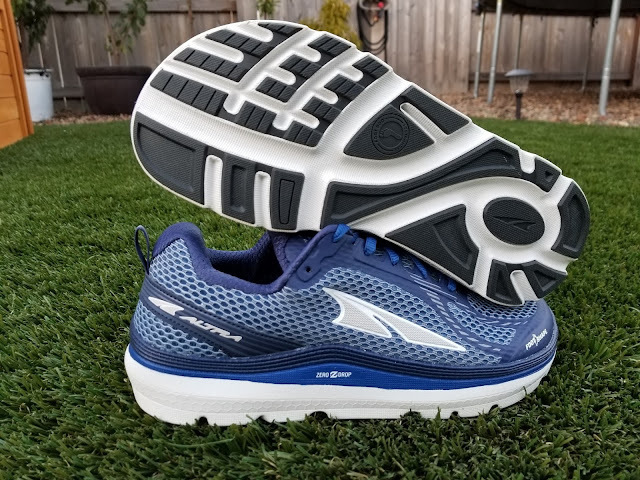 I also like how there is cushioning under the ball of your foot that really helps propel you forward and for me, it keeps me landing more mid-to-forefoot. I can’t wait to try for a new PR this weekend. I think the Paradigm 3.0 will help me get there. You can find them for $130 on the Altra website. 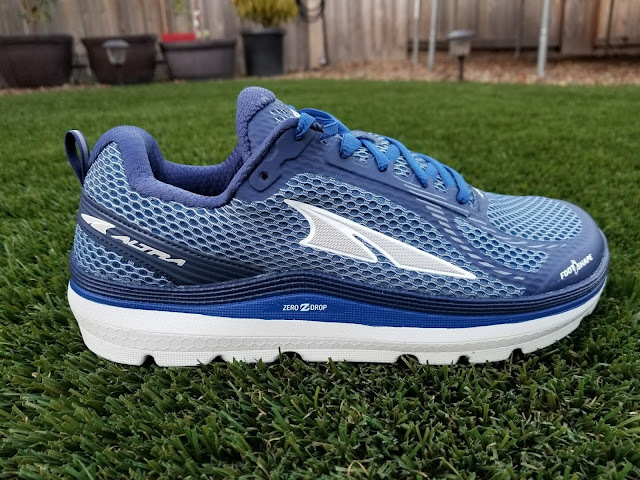 Please let me know what you think of Altra or if you plan on getting a pair to try out.